Well, I finished the hat. That means three Christmas presents are done!! Just have to make some lip balm closer to the festive season to go a long with them. My brother’s kids spend pretty much the entire winter skating on their pond or at the hockey rink so I am sure they will appreciate hats and lip balm...at least I hope so. I have one more hat to make, for another lovely little niece. Reece tells me this one has to be really special because it is for his favourite person in the world, his cousin Aubry. I picked up the yarn yesterday, but have not cast on yet. I am also looking for a little something to knit for a baby or two. I have so many pregnant ladies in my life right now, and with most of them due in the fall a little hand knit would be lovely to give. Any ideas are welcome. On the reading front, I finished up my issue of Taproot, sadly. I kinda wish it was either longer or appeared in my mailbox a little more frequently. Oh well, I will wait, not to patiently, for the next issue. I am still deep into doula reading and enjoying every minute of it. And I have ordered a few books that will hopefully arrive this week to complete my summer reading. I have, but I love it! the wool is beautiful, but my eye is drawn straight to that lovely looking chard. Yum! Yes, I am enjoying that chard, it is delish!!!! Look at all those pretty hats!! I am in total agreement about Taproot...I also think they should make some of the artwork available in prints. Thanks Melissa, and what a great idea, the artwork is amazing! Oh, these are absolutely gorgeous! Seriously...um...are you making more? Perhaps a little online store? ;D Great job, I'm no where near doing this...still knitting bits and pieces...if that. Awe, thanks! I could make more, do you want one? An online store, hadn't crossed my mind, but I guess you never now. Thanks for the link, I am going to check them out now. I love those hats. 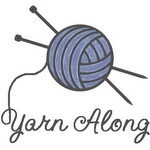 What pattern and yarn did you use? Oh yes, this issue of Taproot is great. Thanks! The pattern is from Easy Kids Knits by Claire Montgomerie. So many great patterns in it. And the yarn is a merino by Mission Falls. Love it! What beautiful projects! I've heard so many good things about Taproot, it sounds like my kind of read. Thank you! Taproot is awesome, I highly recommend it. Thanks Rachel. And good idea, I will take a look. Great hats and sounds like it will be a perfect present for them all! I just love how organised you are!! Thanks, I am sure they will like them. I really love the festive season so I try to be organized so I can enjoy it without the stress of last minute gift making. Thanks Nicole. I wish I could, I was born this way :) Even as a child I was miss organization. And I can now see it in Reece who is always busy organizing something - his arts and crafts drawers, his nature table and my pantry cupboard. I'm so inspired by the fact that you have three Christmas presents done! You will have a far more calm holiday season because of it. They're lovely. oh my goodness, christmas, that is organized. what wonderful gifts those sweet hats will make! I am trying to be Lori Ann :) And thanks, I do hope my nieces and nephew like them.